This integration automatically exports new customer contacts from Setmore to your HubSpot account. This applies for contacts that are created via the Calendar Page or when customers book an appointment through the Booking Page. Also, when new customers are added to your HubSpot account, they are automatically imported to your Setmore customer listings. 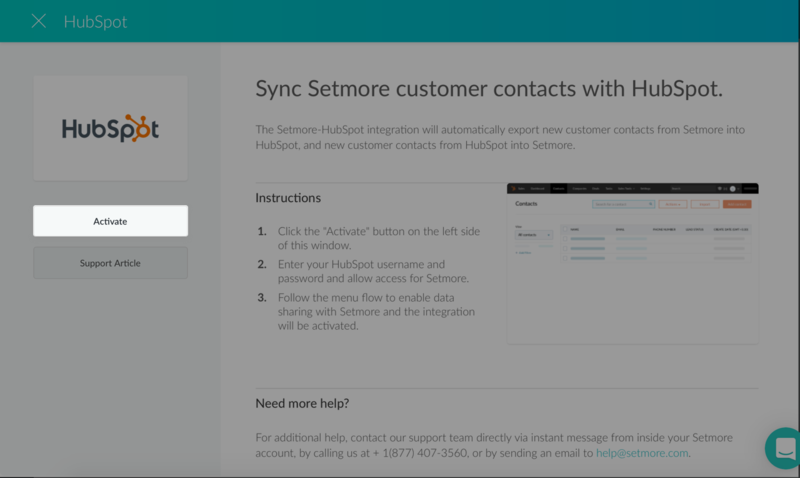 When customer contacts in Setmore are updated, the integration automatically maps these changes to the corresponding contacts in HubSpot, and vice versa from HubSpot into Setmore. 1. From inside your Setmore account, click Apps & Integrations. Scroll down and click on the HubSpot integration card. 2. In the HubSpot integration details window, click the Activate button on the left. 3. A HubSpot login window will appear. 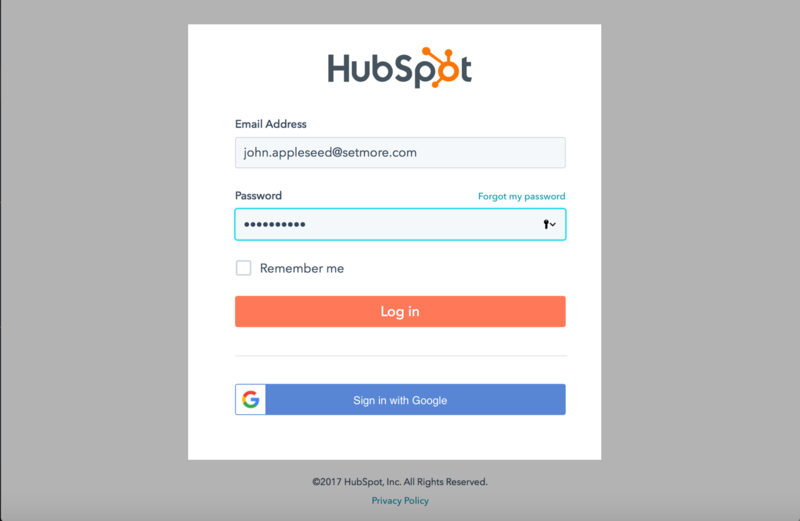 Enter the username and the password of your HubSpot account and click the Log in button. 4. 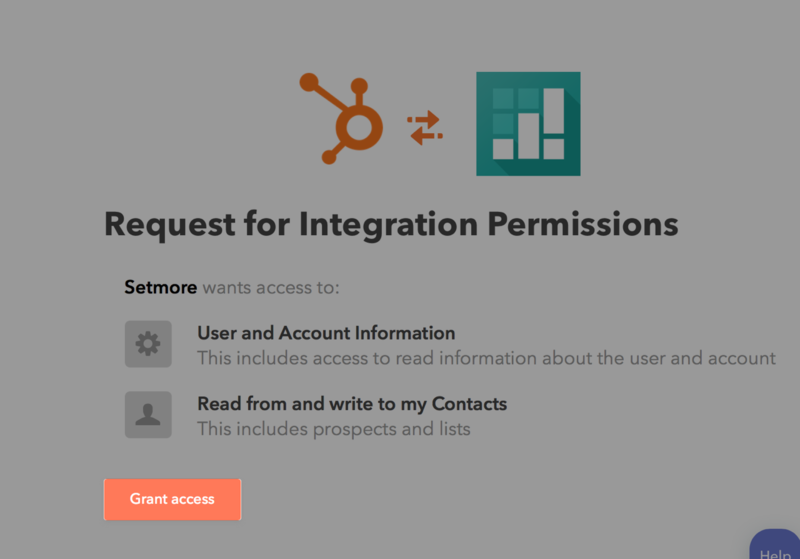 HubSpot will prompt you to grant access to complete the integration setup. Click the Grant access button to proceed. 5. A pop-up window will appear to confirm the integration is activated. The First Name and Email ID are mandatory fields for each customer profile. Contacts that are created without the mandatory fields will not be synced. 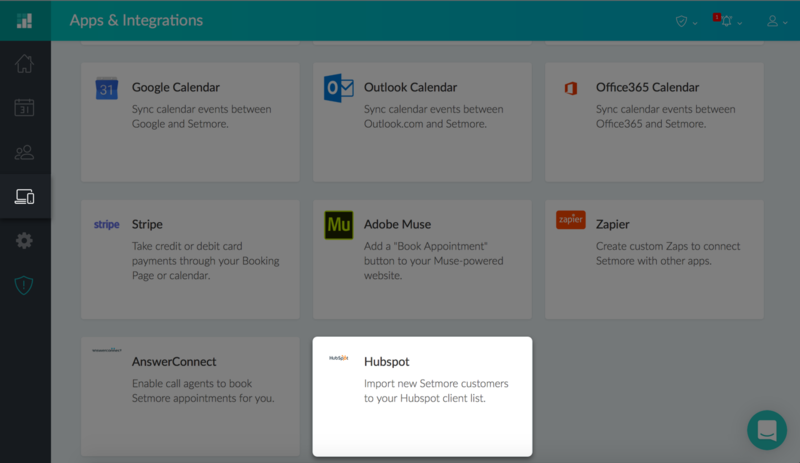 Removing a contact from Setmore will not remove the exported contact from your HubSpot account and vice-versa.